it’s now the time where i can annoy tell nate “hey, last year at this time we did this together…” or “remember how we talked for six hours in the kitchen that one night and you didn’t make a move on me for another few weeks?” or “remember how we fell for each other on the same night, but it took us awhile to let each other know?”. it’s fun looking at the early messages and texts we sent one another and reminiscing about the way we felt. i love looking back on a year ago. i love our love story. a year ago we “hung out” for the first time. we made plans to go kayaking on a thursday after work, but the day ended up being cold and rainy. 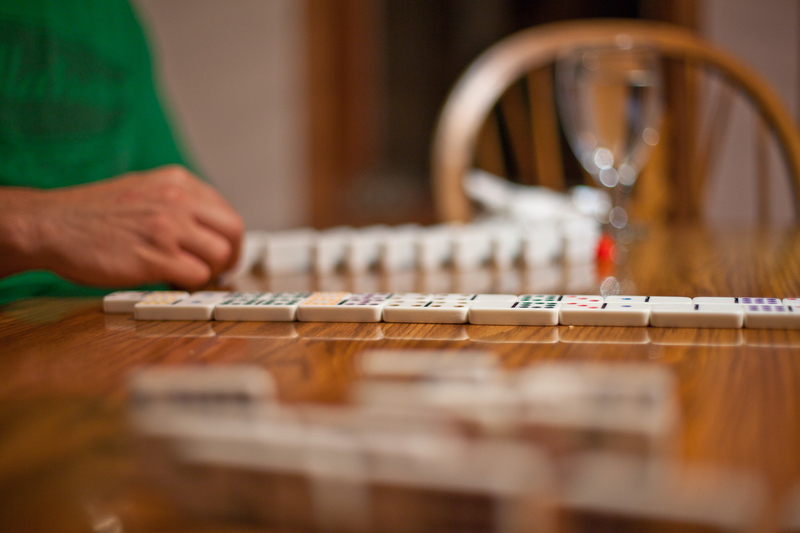 i suggested we have chili, cornbread, and play mexican train dominoes with my mom (who loves mexican train dominoes). but she ended up having plans. so it was the two of us. i was nervous, not knowing what to wear. my mom sat in my room with me as i tried on different options, telling me to not be too cute to lead nate on. so i settled on boyfriend jeans, a t-shirt and cardigan. as he was walking to the door, my mom yelled at me “sheena, don’t freak out, but he brought flowers!”. i didn’t. i thought about how nice the gesture was, especially when he told me “my mom always told me you can’t show up someplace empty handed”. he brought ice cream too. the good kind. we sat in the kitchen on that rainy evening eating, talking, playing dominoes. i wowed nate with pizookies for dessert. he wowed me by knowing what a ramekin was. i introduced him to greek yogurt as a substitute to sour cream. he told me about making his own pasta. we talked about our love of food. we talked about the 8 years after high school, what we did, where we went, things we experienced, our friends. we talked about our mutual love for the outdoors and being in the country. and also talked about our mutual love for experiencing new things and having some adventure. he kept score at dominoes when he learned i hated/was terrible at math. he didn’t get upset or swear when i mercilessly beat him. during that night, both of us knew we could spend more time together, and not just because we didn’t have anything else to do many friends in the area. the preconceived thoughts we had about each other were wrong. we actually had a lot in common. we enjoyed getting to know one another. he was honest. straight forward. funny. easy to be with. and he offered to help with dishes. i knew he was someone i could be friends with. a year later. married to this new best friend. our baby in me. and celebrating the start of our love story by enjoying chili, fresh bread, mexican train dominoes, conversation and pizookies on this (snowy/cold) fall day. how blessed are we? 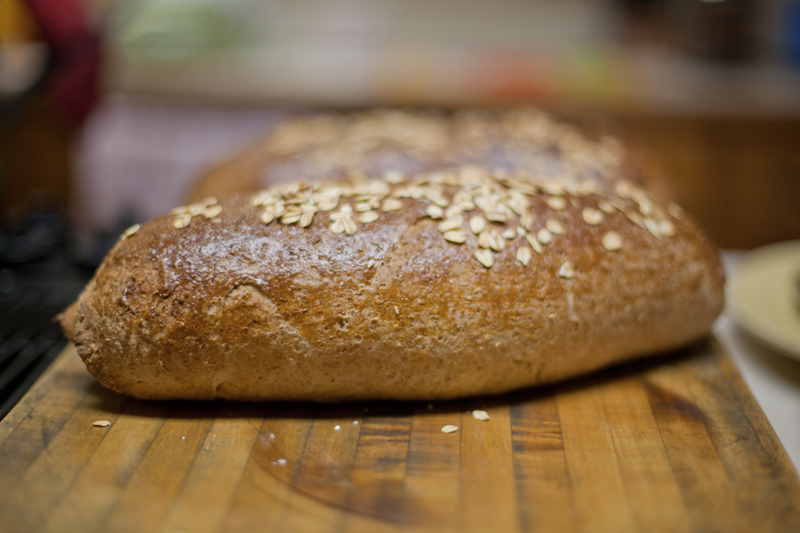 instead of making cornbread (or bringing me flowers), nathan surprised me by having irish oatmeal bread started when i got home! garnish with tomatoes, avocados, cheese, and sour cream (or greek yogurt!). in a large stock pot or dutch oven, cover the whole chicken with water. add oregano, cumin, coriander, salt and pepper. cook for 2 hours or until tender. remove chicken from the stock. debone and shred with fingers. set aside. on a baking sheet roast (or grill) the tomatillos, poblanos, jalapeño and onions in olive oil, salt & pepper, until they start to blister and soften. 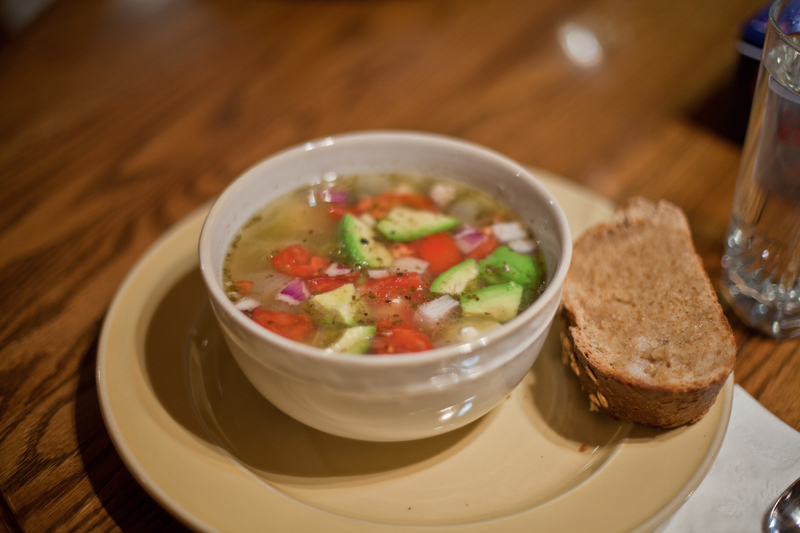 add the beans, green chilies, garlic, green onions, tomatillos, jalapeño, chicken, salt, pepper to the broth. cook for about 30 minutes. garnish & serve! this chili has some heat, so leave out the diced chili’s or jalepeno if you don’t like it too spicy. Always love hearing the stories of first dates and couples re-living those moments! ❤ love that you and dustin will have an amazing story to look back on!